When you're downsizing for tiny life, it's a good time to examine your sock and underwear drawer. Is it time to declare bankruptcy and start fresh? In a tiny home, small changes can make a big difference in your space and lifestyle. Having all matching underwear makes sorting and folding laundry easier, and takes up less storage space than lots of unmatched pieces. Faster drying clothing is great for hand-washing, or just preventing musty smells in your hamper. And having a smaller wardrobe means that you'll be wearing an individual garment more frequently, so having durable, high quality clothing is important. Here are our best recommendations for both men (from Dan) and women (from Leanne), to restock your underwear drawer. Aside from the cut, the material and weave of the fabric matter most when choosing the best underwear restock your drawer. Avoid cotton, which takes forever to dry and tends to hold on to odors. Merino wool is better, since it wicks moisture, dries quickly, and is naturally antimicrobial. But synthetic tech fabric is the best choice for underwear that's comfortable, breathable, easy to wash, and dries quickly. 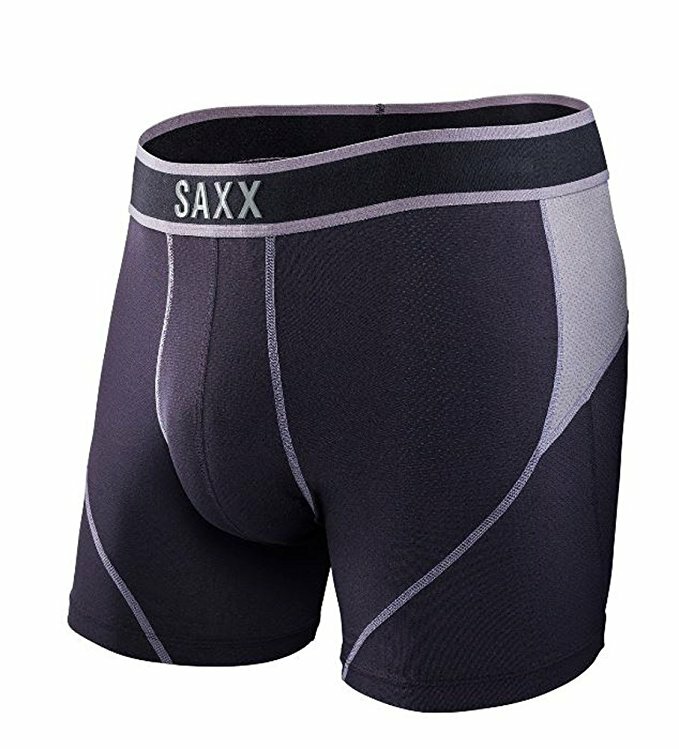 For men, SAXX Kinetic boxers are the best around, with their stylish and comfortable cut, fast-drying tech fabric, and a pouch to keep things organized. The pouch isn't for everyone, but it's a big plus for those who enjoy a little containment without feeling constrained. There are a few different materials to choose from, but the Kinetic and the Quest 2.0 versions use the kind of open weave tech fabric that works best for travel and tiny living. ExOfficio is a close contender for best available men's underwear. With briefs, boxer briefs, and boxers cut from the same kind of comfortable, breathable tech fabric, you'll be able to find a tech fabric option that matches your preference. ExOfficio does not have a pouch option like SAXX, which is a downside for me, but might be preferable for someone who doesn't like the feel of a pouch. Frigo uses nice tech fabric, and the stitching looks good, but their design has two major flaws. The SAXX pouch is oriented vertically to prevent sticking at the legs (makes sense, right?). The Frigo pouch is oriented horizontally (why? ), which I found puts an uncomfortable pressure on an "in-between" part of the anatomy that I can't find a polite word for. And I found that rather than keeping things organized, the Frigo pouch itself required periodic adjustment. The worst feature of the Frigo design is the rubberized material added around the inside of the tight elastic of the leg openings. While it does prevent the shorts from riding up, the rubberized leg holes do so by firmly anchoring the shorts to any available leg hair. Unless you have the silky smooth legs of Magic Mike, you're likely to find the constant upward pulling uncomfortable. For those who prefer a merino wool style fabric, Saxx Blacksheep and Smartwool boxer briefs are good options. They won't dry as quickly as the tech fabric options, but they're much faster drying than cotton, provide excellent moisture wicking and insulation, and wool makes them naturally antimicrobial. When it comes to women's tech fabric underwear, there's really only one brand worth mentioning. ExOfficio's Give-N-Go bottoms are comfortable, breathable, and quick-drying. There's no one-size-fits-all cut for women, but ExOfficio's bottoms are available in tons of styles from lacy thongs, low-rise bikinis, and full-cut briefs, to no-frills thongs, string bikinis, bikini briefs, hipkinis, hi briefs, and full-cut briefs. The downside of tech fabric underwear is that, while it's easy to wash and hard to stain, it's anything but leak-resistant. Consider keeping a few pairs of period underwear like Thinx or Dear Kate, which can absorb a surprising amount of liquid without leaking through or feeling like diapers. Alternatively, washable, reusable cloth pads are a good option for adding protection to normal underwear without the additional cost, waste, and potential health concerns associated with disposable products. Reusable cloth products work just as well as disposable pads, even on heavy days (though you still need to change them as frequently), or as an all-day backup for a menstrual cup. For fancier bottoms that are comfortable and easy to care for, Hanky Panky's signature lace is a great choice. They're comfortable, stretchy, consistently flattering, and fast-drying for easy hand-washing. While you're purging your underwear drawer, consider declaring sock bankruptcy as well and replacing all of your socks with just a few matched sets. Wool socks are far better than cotton, since they can wick more moisture than cotton, help prevent blisters, keep their insulating properties even when wet, dry much faster than cotton, and are naturally antimicrobial. They're more expensive to purchase, but their comfort and durability more than compensates for the initial investment. If you want to choose one brand for all matching socks, you can't go wrong with Darn Tough Socks. Not only does Darn Tough make high-quality wool socks that live up to their name, but they have a lifetime unconditional guarantee. Yes, they're expensive, but if your socks wear out before you feel like you've gotten your money's worth, just send them back and Darn Tough will replace them. 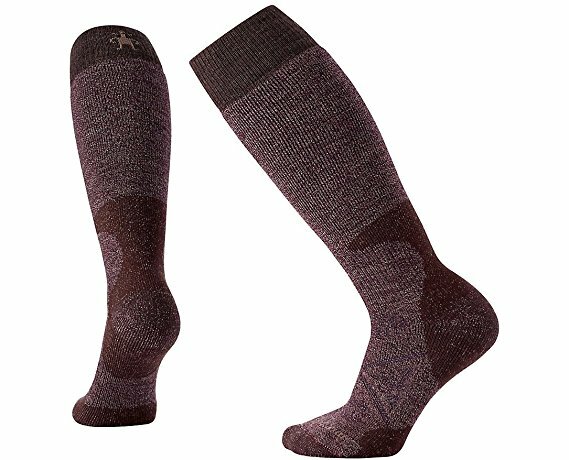 Smartwool is another high-quality option for long-lasting wool socks. The quality is similar to Darn Tough, but Smartwool only has a 2 year satisfaction guarantee that doesn't quite inspire confidence with the phrase "we'll do our best to make it right." All things being equal, Darn Tough's unconditional lifetime guarantee makes their product a better value. For wearing with casual low-top or athletic shoes, look for thin wool low-rise socks like Darn Tough Coolmax (men's, women's), or Smartwool PhD (men's, women's). Opt for darker colors, and avoid buying white wool socks, since white wool socks tend to get irreversibly dingy after the first few wears. With casual boots or more formal footwear, a relatively thin solid-color wool crew sock is a versatile option. Darn Tough (men's, women's) and Smartwool (men's, women's) socks are available in solid color crew options that work just as well with a suit as they do as a liner for hiking up a mountain. 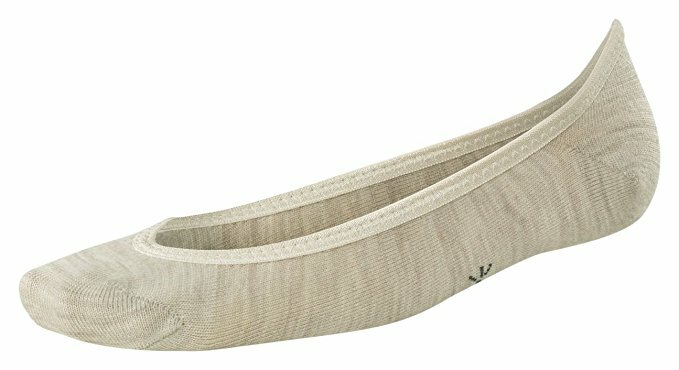 For women's dress socks, Smartwool's Secret Sleuth super-low socks are good for comfortably lining flats. For the cold days of Winter, a thick padded pair of high-rise socks can keep you toasty. Check out Darn Tough's over-the-calf full cushion options (men's, women's), or smartwool's PhD heavy OTC socks (men's, women's). Be sure to store your new socks in a way that won't damage them. Avoid balling up socks or rolling them in a way that causes the elastic to stretch, since that will wear them out prematurely. For low-rise running socks, simply stack the identical socks together in a drawer organizer. For taller socks, match pairs and fold them for storage. Rolling socks can look nice, but a neatly folded stack of socks will take up less space in the drawer than rolled or balled socks. What's in your underwear drawer? Leave a comment below.